If you are dissatisfied with your home’s standard design now is the best time to update it to suit your tastes. 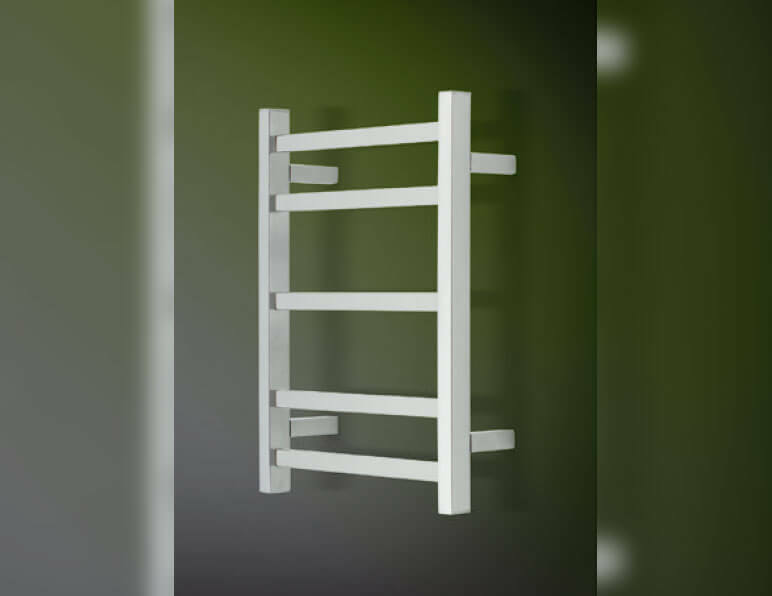 For over 15 years the dedicated and reliable team at RF Bathroom & Kitchen Products have supplied a number of durable and highly-functional products that are stylishly-designed and affordable. 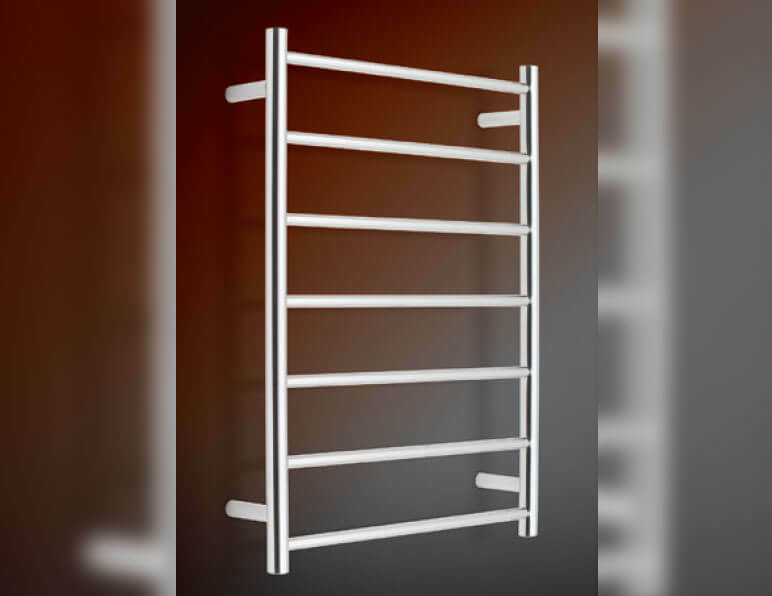 Thanks to our heated towel rails and ladders Melbourne homeowners can enjoy the luxury of instantly-warm towels when they step out of the shower. Offering unmatched advice gained from decades of combined experience in the industry we can ensure that you go home with the best products for your environment. 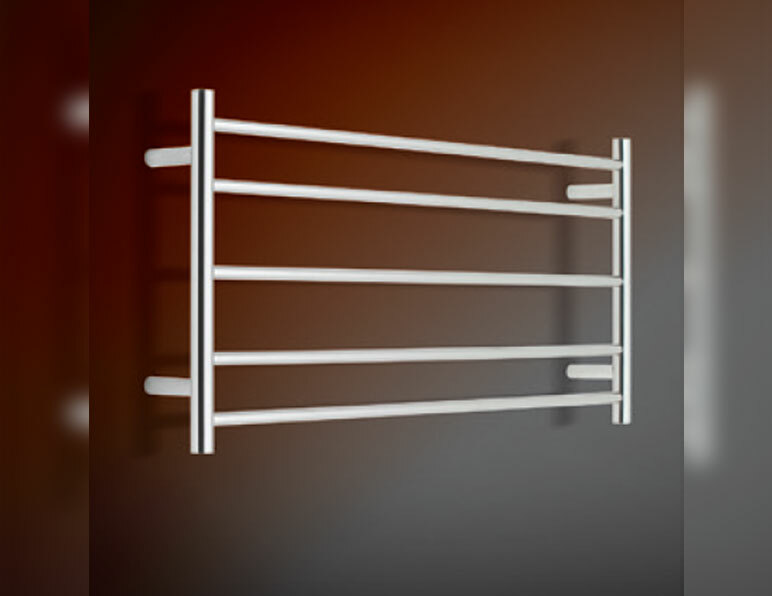 Our heated towel rails and ladders are completely safe, meaning they can be set and forgotten without risk. 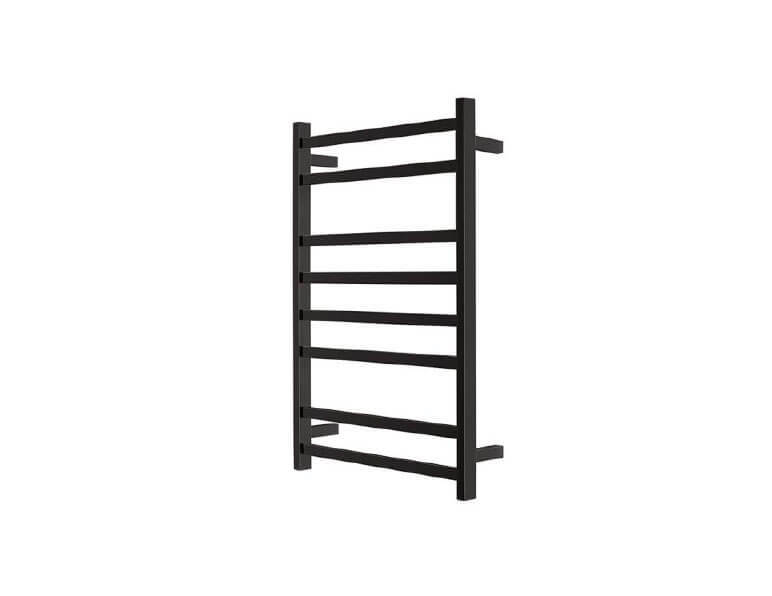 This also ensures your towels can always stay comfortably warm without becoming burnt or compromising their quality. 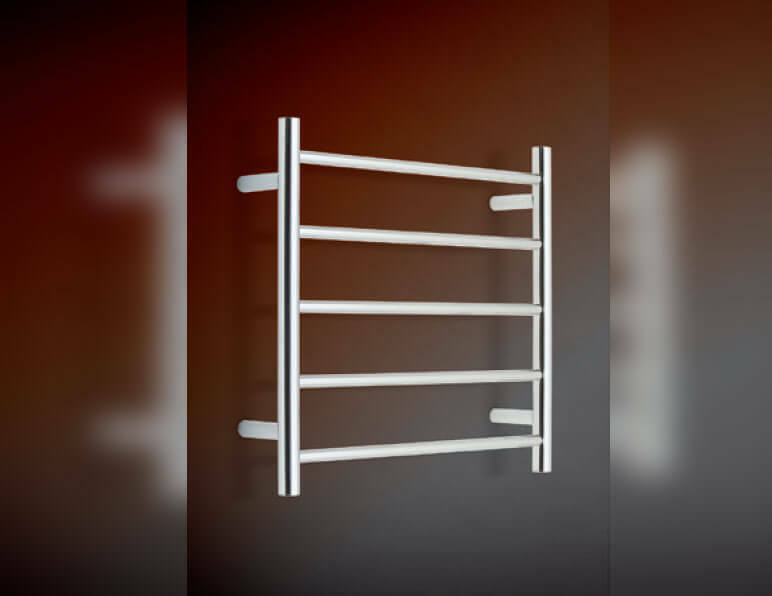 We supply heated towel rails for Melbourne customers in a number of different fishes and sizes meaning you are sure to find the right product to suit the design of your bathroom. 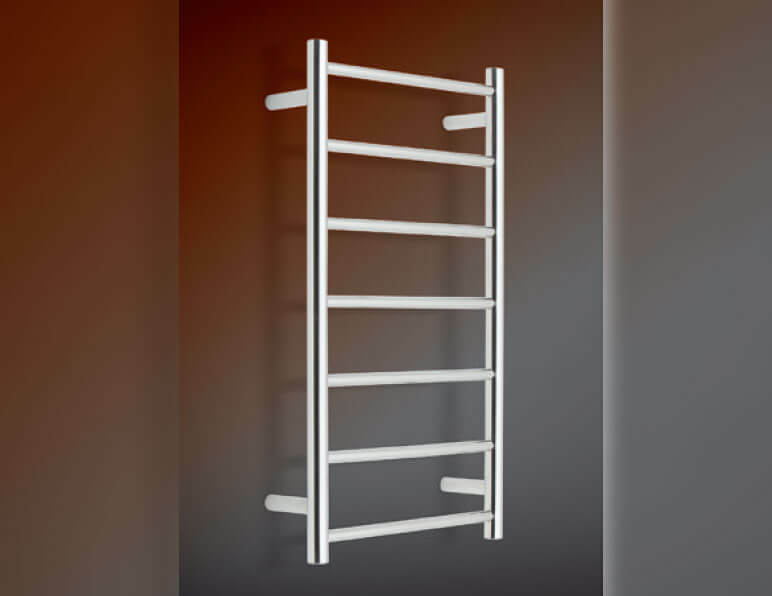 Heated ladders are the perfect way to bring a touch of modern elegance to any bathroom and can add value to your property. 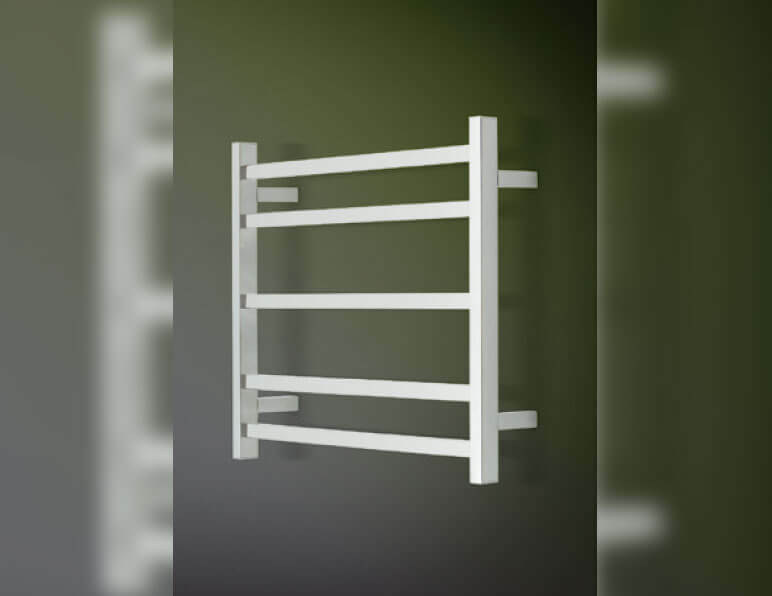 At RF Bathroom & Kitchen Products we’re proud to be one of the go-to names for quality fixtures and fittings for homes and businesses across Australia, with our extensive product range available to customers in Sydney, Brisbane, Melbourne and Adelaide. 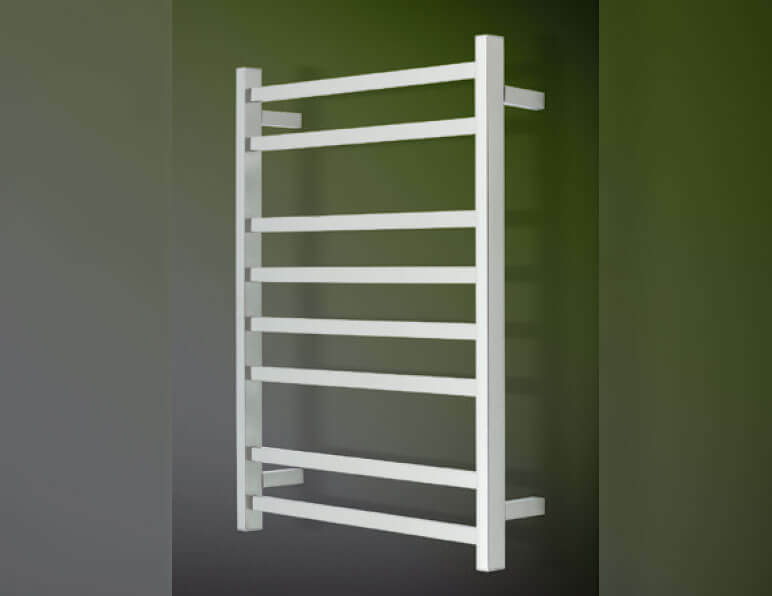 While there may be another ‘bathroom fixtures retailer near me’, when you want to work with a team that is an industry leader in customer service and satisfaction you simply can’t go past RF Bathroom & Kitchen Products. Reduce the risk of mould and mildew build up for cleaner air and a healthier home. 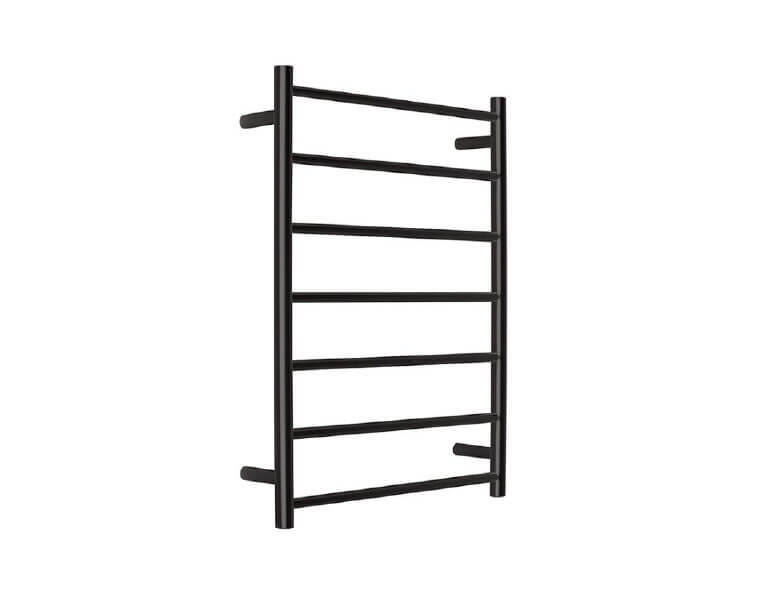 When combined with adequate ventilation and bathroom heating, a heated towel rail is the perfect way to keep towels fresh and dry, preventing the growth of harmful bacteria that thrive in warm, damp environments. 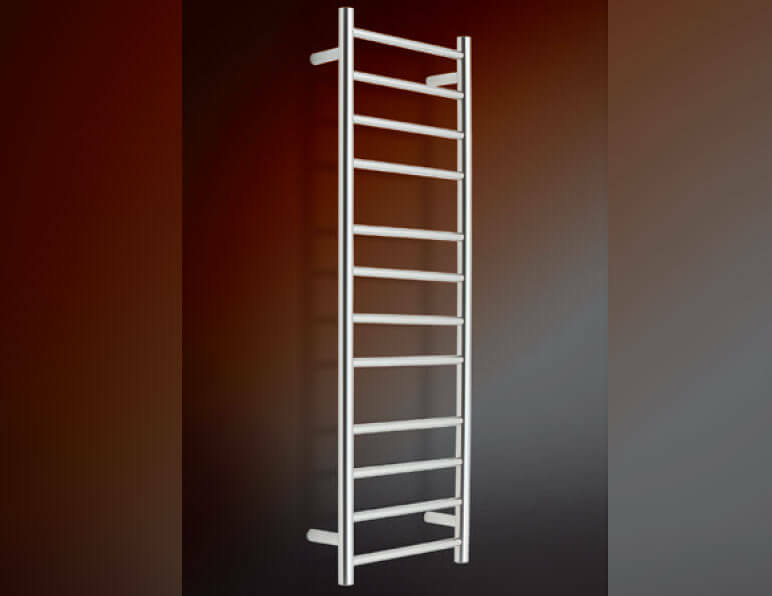 With a range of styles and finishes, our commercial customers can stock a variety of heated towel ladders Sydney, Melbourne, Adelaide and Brisbane homeowners will love. 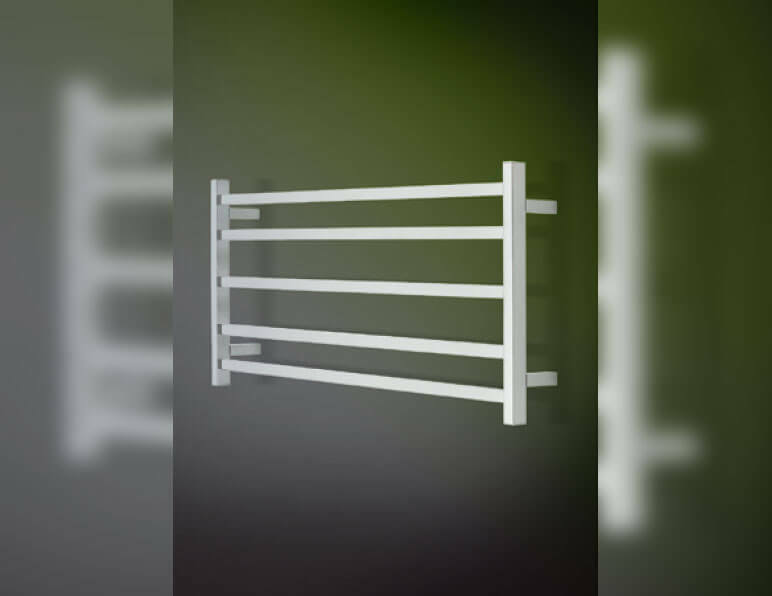 The Elan 100R and 100S designs offer wide rails and low profiles for those awkward under window spaces, while a design such as the extra narrow Elan 120R makes the most of vertical space to provide hanging space for the whole family. Wattages vary from 42 Watts to 110 Watts, with IP44 safety ratings guaranteeing that internal wiring is protected against water splashed from all directions. 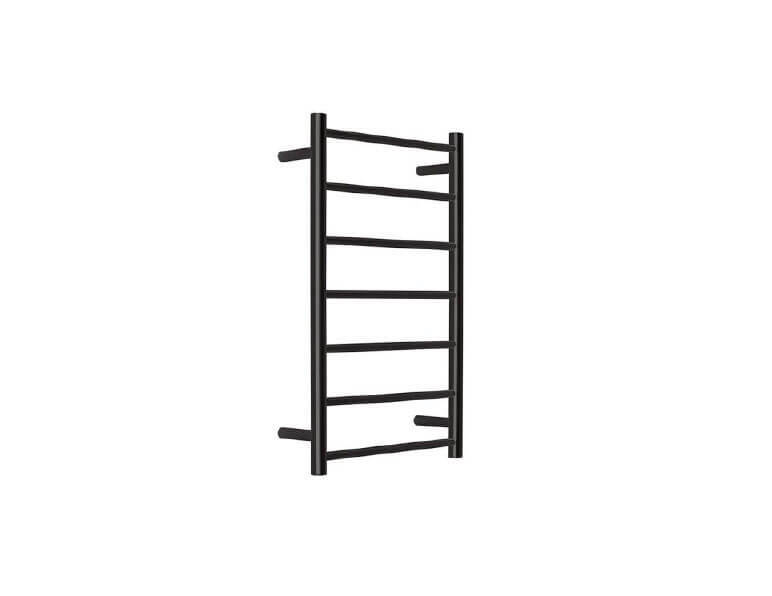 Retailers and builders can reassure their clients that all towel rails and ladders come backed by our warranty, ranging from 2 to 7 years depending on their chosen model. 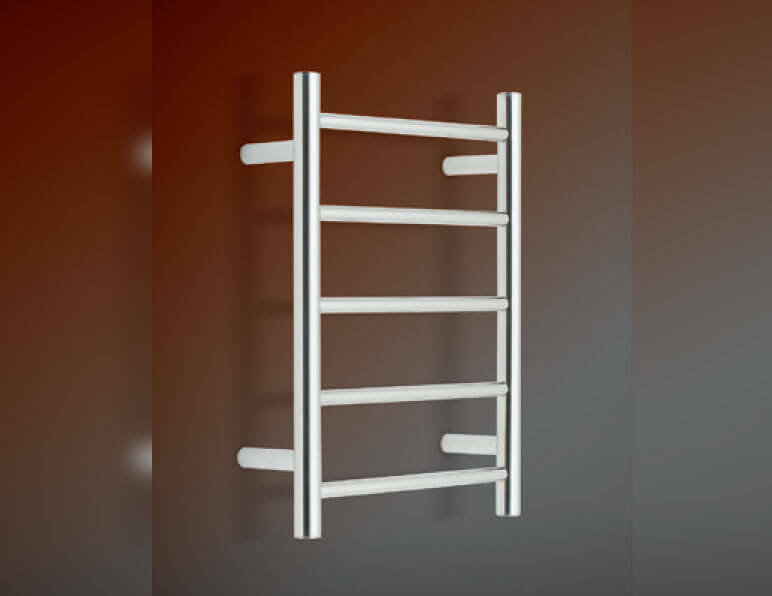 With our heated towel rails Adelaide, Brisbane, Sydney or Melbourne locals can find a look they love. 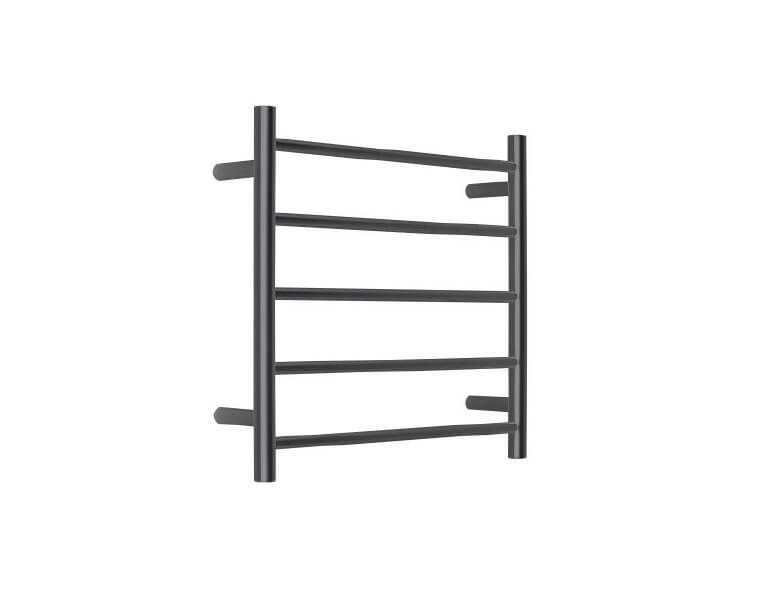 Our products are available in a stainless steel or black finish, with square or rounded profiles in both rail and ladder designs. 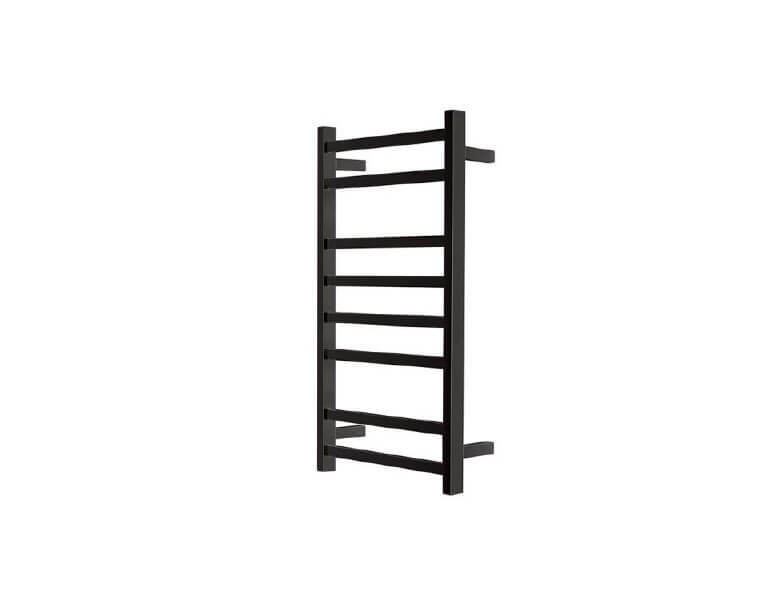 Need an efficient space saving solution for a hotel ensuite? Our Elan 20R is the ideal choice. 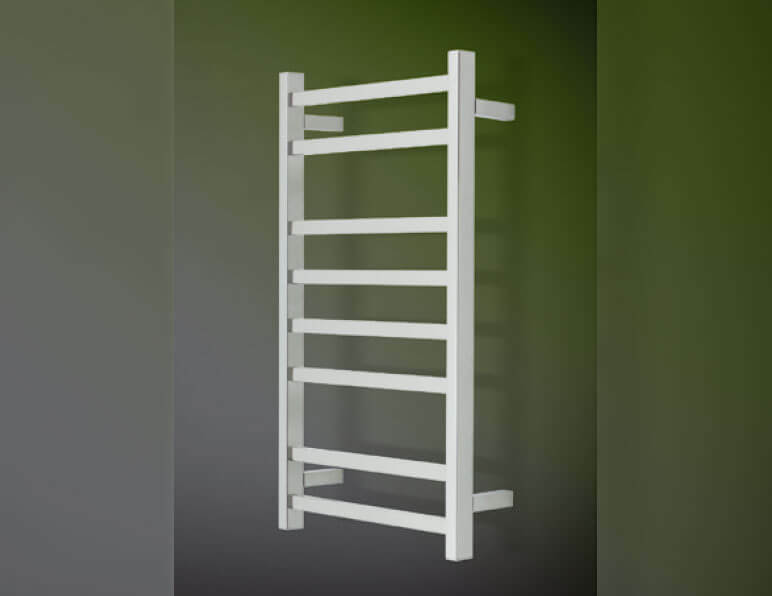 Or do you have a client who wants a neat and tidy hanging space for all of the towels in the family bathroom? Perhaps the Elan 60S is the one for them. 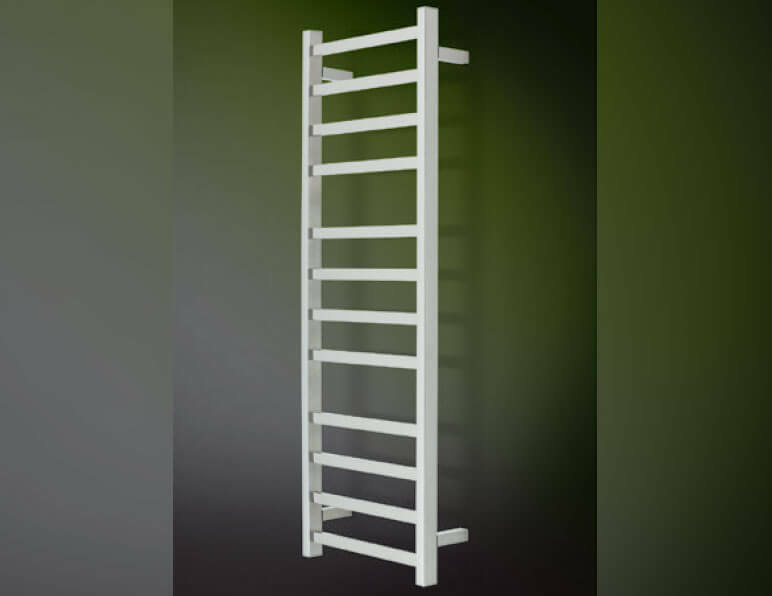 Increasing the luxury in your bathroom - heated towel rails and ladders allow Melbourne homeowners to increase their comfort after stepping out of the bath or the shower. To improve the quality of your life tomorrow, call us today on 03 9796 3969.